Nevada Derby I, 50 miles. Flying On The Ground. Peter, Rio, Hana and I arrived at ride camp at Washoe Lake, NV. on Friday, April 4th in the late afternoon. 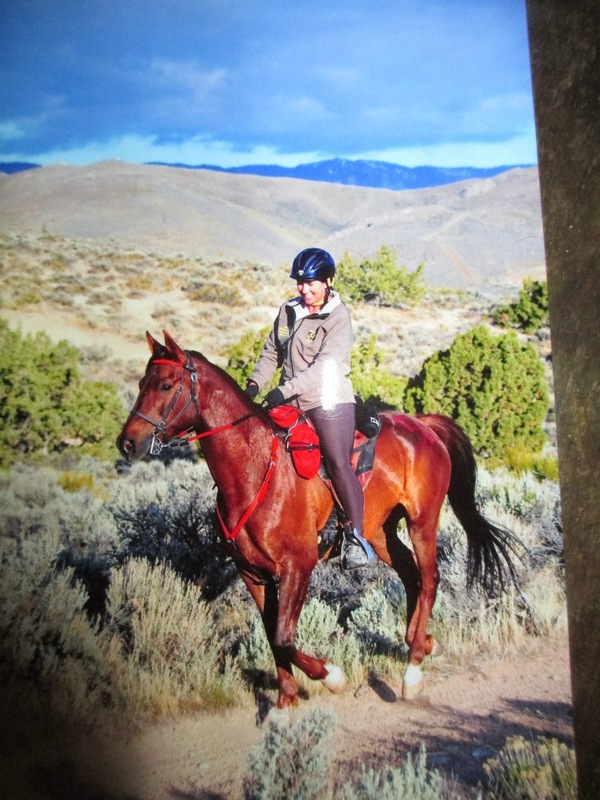 Rio and I would be riding the 50 mile endurance race the next day. After setting up our nice camp site, taking Rio through his pre-ride vet check as well as taking him and Hana on a few walks, then going to the ride meeting, I went to bed early and fell asleep instantly. The 50 mile race would be starting at 7 a.m. I set my alarm to wake up at 5:30, but I had such a great night sleep that I woke up at 5. After dressing and putting water on for coffee, I went out to give Rio his breakfast. Although I had gone to bed with a bright full moon, it was pitch black at 5 a.m. A lunar eclipse was happening. Beautiful! I was happy to see that Rio had ate all his dinner and drank quite a lot. I fed him his breakfast of grass hay, and then went inside to get ready. In the last two endurance rides/races that we have completed this year, Rio has proven to me that his fitness level is to the point of finishing his last 10 miles as fast, or faster, than his first 10 miles. I feel that I am doing him justice and allowing him to be the exceptional athlete that he is by going a faster pace now that he has proven himself. He is either pulsed down upon arriving at a vet check, or within 4 minutes. He takes good care of himself, and his attitude is great!